We want to thank Alimond Photography for sponsoring the Loudoun Pet Expo this year. They will be providing an amazing video of the event, as well as photos which will be posted on our website and Facebook page. Aliyah Dastour is the owner of Alimond Photography in downtown Leesburg and the Founder of her passion project Loudoun100 which began in 2017. She and her team tell the stories of ordinary people in Loudoun County and their extraordinary stories, connecting people through conversations. Alimond Photography is the place to go if you want to take your business to the next level. 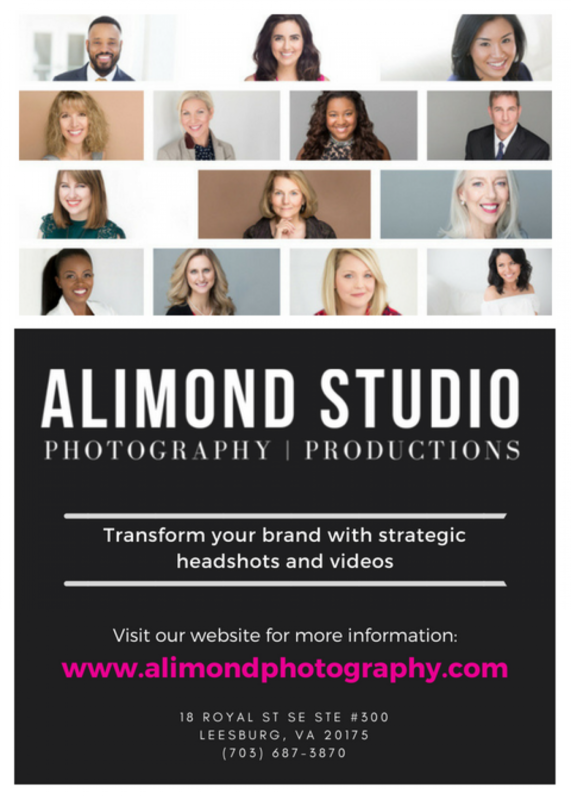 Whether its a Professional Headshot, a Brand Video, or both, you will get noticed when you trust Alimond Photography to give you nothing but the best! Add Four Paws to Your Family with Ease →← Meet Virginia Wallen at the Loudoun Pet Expo!